Blindingly beautiful coastline. An internationally lauded food culture. Literally, the world’s best boutique hotel. And barely a car on the road. How is it, asks an unbelieving Andrew Bain, that Tassie’s east coast (from Hobart to Swansea, Bicheno, St Helens) is still crowd-free? Photography Max Doyle. Travelling on Tasmania’s east coast hasn’t always been easy. Only 30 years ago, cars sported bumper stickers declaring ‘I survived the Coles Bay Road’, so brutal was the dirt road onto Freycinet Peninsula. Even today, as I drive out of Hobart heading east, the road climbs over the exhaustingly named Break-Me-Neck Hill and Bust-Me-Gall Hill, before descending to the coast beside the scar of an old convict road. It’s a reminder that times were once even tougher here, when this gorgeous stretch of coast was effectively a prison – though surely one of the most naturally blessed prisons in the world, as even its convicts seemed to realise. “To find a gaol in one of the loveliest spots formed by the hand of nature, in one of her loneliest solitudes creates a revulsion of feeling I cannot describe,” wrote one Irish convict on arrival. Stand almost anywhere on this coast today and you realise the extent of its evolution: a former convict station now with sophisticated boutique hotels nestled along its shores, and produce as fresh as the ocean air. Could this be the most underrated coast in the country? We think so. Here’s why. The white sands of the east coast are well complemented by the reds of its young wine region. Around Cranbrook, a handful of wineries have had a long evolution of their own. Vines were planted here around the early 1980s, but most of the cellar doors have far older tales to tell. As I drive north from Swansea, I come first to Milton Vineyard, settled as a sheep property in the 1820s, but where a new cellar door now sits poised on a low ridge amongst stunning rural views. Milton’s tale of merino-turned-pinot is common here. At nearby Spring Vale Vineyards, the cellar door is inside an 1842 convict-built stable, while the region’s newest vineyard is also the oldest. Though a mere babe in the wine world, with its first planting of vines in 2007, Gala Estate is a seventh-generation family property. First farmed in 1821, it claims to be Tasmania’s second-oldest surviving business. Gala’s cellar door is the quirkiest on the coast: sitting almost astride the Tasman Highway, the dilapidated weatherboard cottage presents a suitably shabby-chic appearance for such an old new vineyard. Paint peels like sunburnt skin from its walls, and old farmhouse furniture lines the porch, yet the sparse interior is all about the clean, crisp experience of pinot noir, riesling and sauvignon blanc. At the other end of my journey, inland from St Helens, the Pyengana Valley is as fresh on the eye as it is on the palate. Dairy cows dot the fertile green paddocks and the Pyengana Dairy Company looks right at home. Cheese has been produced in this valley for more than a century, but the place is no time warp. The dairy company specialises in cloth-bound cheddars, but also makes ice-cream with bush flavours such as pepperberry and lemon myrtle. In the attached Holy Cow Café, I watch the afternoon seep away over the paddocks, a spread of Pyengana cheese and a Tassie pinot noir helping turn the view from good to sublime. The moment the Tasman Highway hits the coast at Orford, Maria Island rises as a wall of mountain across the sea. Two islands bound together by a narrow sandy isthmus, Maria is entirely national park but has never been oblivious to change, having been first developed as a convict station, then a late-19th-century industrial venture and, most recently, the site of an insurance population of healthy Tasmanian devils. Released two years ago, the devils are already thriving – nowhere else in the state are Tasmanian devils so readily visible – adding to an already-rich wildlife experience. Few places in Australia can match Maria Island’s ease of wildlife encounters, as each morning and evening wombats, Forester kangaroos and Cape Barren geese bustle about the Darlington lawns. The devils themselves have even been known to pinch a hiker’s boot or two on the Maria Island Walk. This guided four-day gourmet hike – the finest way to experience Maria – covers the length of the island, wandering across empty beaches, over patterned cliffs and into convict relics, while mingling with the parade of wildlife. 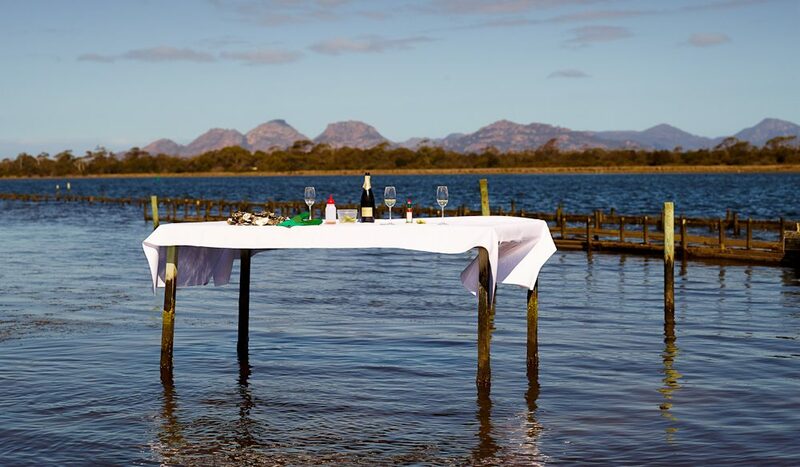 Nights are spent in comfortable permanent camps, with candlelit dinners showcasing Tasmanian produce and wines. 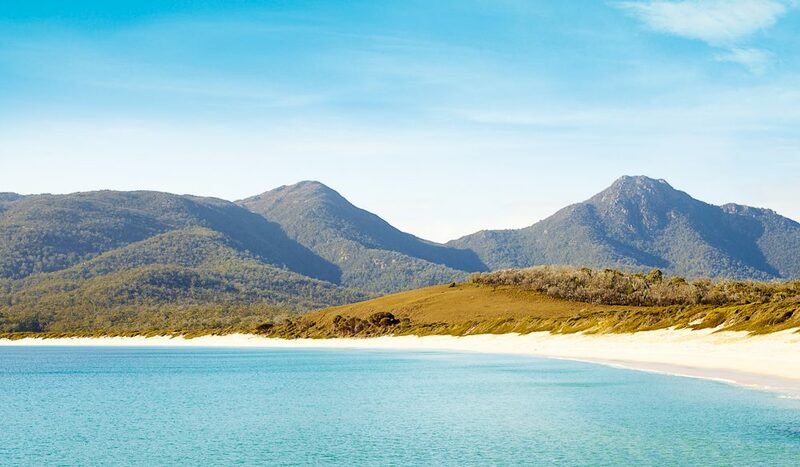 Wineglass Bay is the coastal image on which Tasmania hangs its hat. It’s a beach so flawless, so perfectly curved, it’s easy to be blinded to the fact that this entire coast is lined with great beaches. You can’t really come here and not pay homage to Wineglass Bay, a task made easier by a recent track upgrade to the classic viewpoint on the slopes of the Hazards. But there are other coastal scenes on the east coast just as enticing, and they get overlooked all too often. At Rocky Hills, south of Swansea, the Tasman Highway runs along the coast for the first time, beginning the road’s most stunning section into Swansea. By the convict-built curiosity of Spiky Bridge, there’s a trio of beaches. As I walk the vast arc of Kelvedon Beach, sheep graze almost to the water’s edge and a decaying boatshed lends the beach a ruined, rustic beauty. Just north of here, the smaller, caramel-coloured Spiky Beach and Cressy Beach are nibbled into the granite shores. A tiny rock arch beckons me onto Cressy Beach, but even on a sunny late-spring weekend, with the ocean as smooth as a skating rink, there’s not another person in sight. 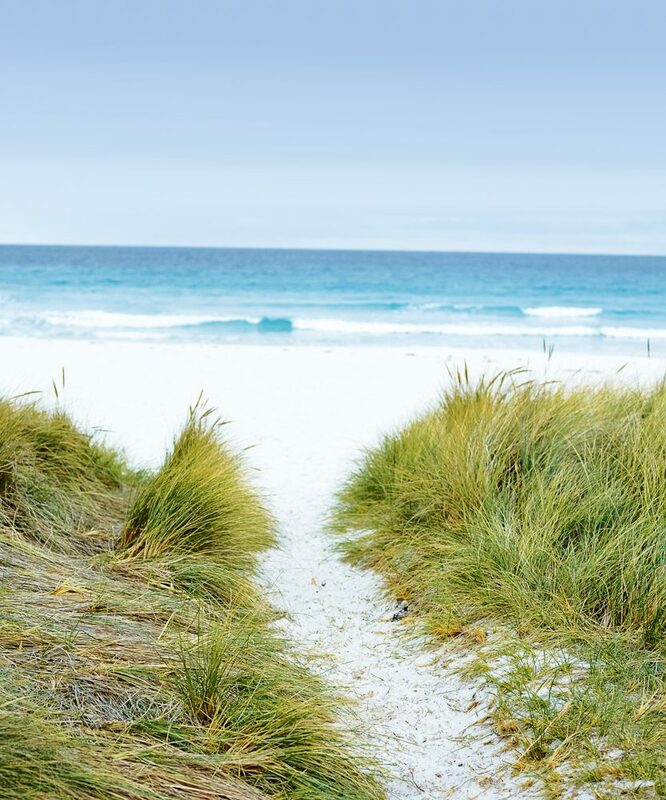 Detour down anonymous side roads and you’ll likely stumble into Tasmania’s lingering shack tradition, but recent years have also seen the bloom of luxury boutique accommodations along this coast. Prime among them is Saffire Freycinet. This is no ordinary place to stay: its luxury suites, furnished in local timbers and designs, peer across the bay to the ever-changing shades of the Hazards mountain range, while stays offer the chance for a range of unique and exclusive experiences. 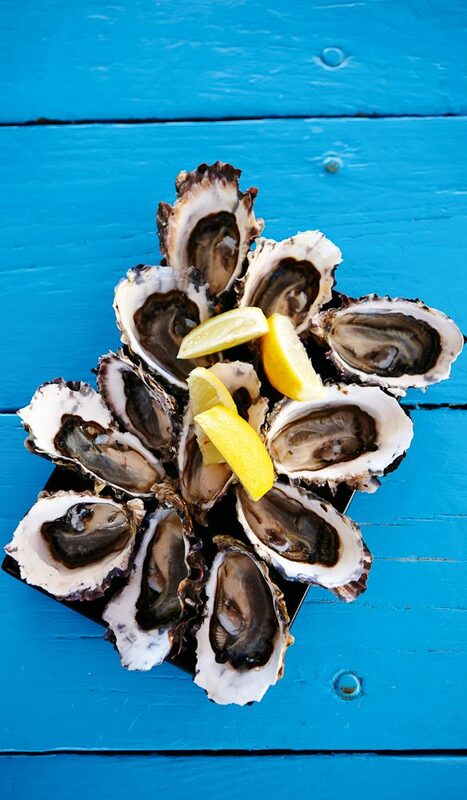 Ever fancied wading out to an oyster bed for a private tasting? Or perhaps a top chef awaiting you for lunch at a secret beach location at the end of a hike to Wineglass Bay? No place better personifies the east coast’s transformation into a stylish and sophisticated destination than this sumptuous lodge. At Rocky Hills, at the point where the Tasman Highway emerges into a coastal panorama, Avalon Coastal Retreat commands a view equal to that of the sea eagle that buzzes past on many mornings. Perched above a secluded beach, with unbroken views over Great Oyster Bay and Freycinet Peninsula, it was named the overall best boutique hotel in the world at the recent World Boutique Hotel Awards. 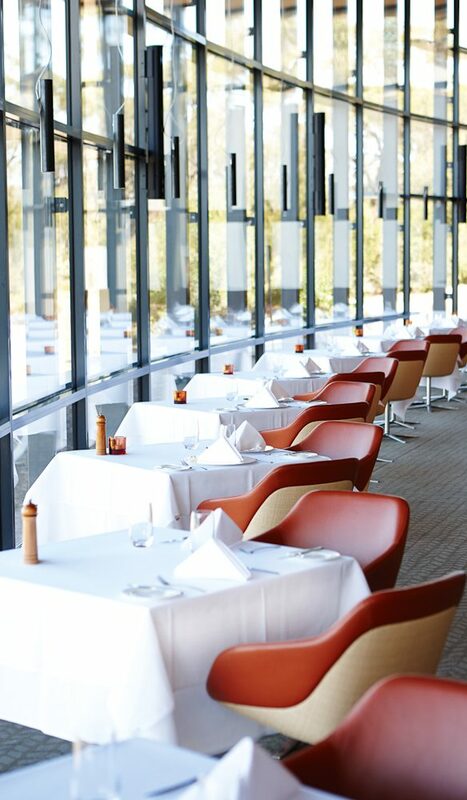 The busiest restaurant on Freycinet Peninsula, and perhaps the entire east coast, isn’t a restaurant at all. As the drive approaches Coles Bay, I turn into Freycinet Marine Farm, an oyster and mussel farm started by Giles Fisher in 2005. Three years later, as an afterthought, he dropped a shipping container onto the lawns, from which he sold fresh oysters, scallops and mussels, as well as cooking up a few. Today, the marine farm hums with visitors, slurping down oysters, garlic scallops and pan-fried abalone among craypots, buoys and the salty ocean air. Another lunchtime I duck into Swansea’s Ugly Duck Out. At a glance, you’d never imagine this unprepossessing-looking restaurant was one of the state’s best eateries, but appearances are deceptive. The Ugly Duck Out has been named Tasmania’s best vegetarian or vegan restaurant for the last three years at the I Love Food Awards (you can also grab a decent wallaby burger and the like); it was also awarded Tasmania’s best breakfast by the Tasmanian Hospitality Association last year. Built around an ethos of sustainability, it gathers most of its vegetables from its own garden and orchard, which wraps around the restaurant car park (seedlings are propagated in a converted ice-cream display freezer). Owner Robyn Klobusiak describes it as a ‘mindful eating experience’: the culinary equivalent of the rejuvenating open spaces that roll out ahead as I drive on north. At St Helens, the Tasman Highway turns inland towards Launceston, but my coastal journey hasn’t ended. North of town, a narrow road runs 20 kilometres along a slice of coast that Lonely Planet once named as the world’s hottest travel destination. Despite the kudos, and the ever-increasing change elsewhere along this coast, there remains an absolute simplicity to the Bay of Fires. 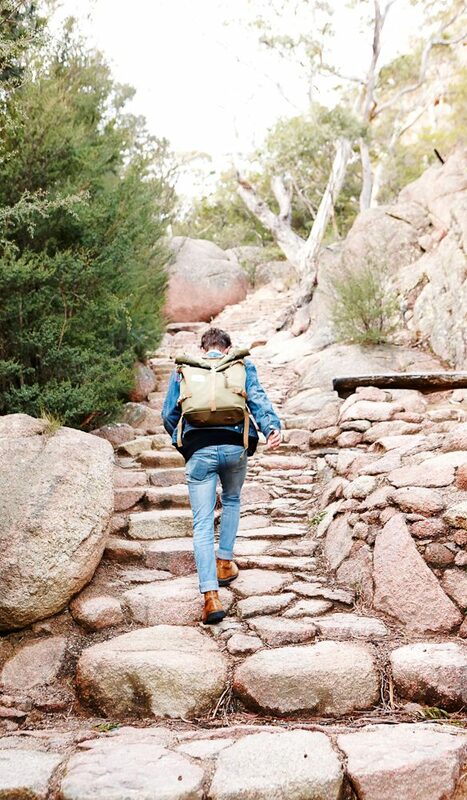 All that’s here is beaches and boulders. From the road, tracks lead down to campsites and a blaze of coastal colour. Granite headlands frame white-sand beaches, with almost every boulder smothered in the Bay of Fires’ distinctively vibrant orange lichen. It’s a faultless fusion of rock, sand, lichen and water, and yet I can stand here and the only marks of humanity are the footprints in the sand, and they’ll be washed away with each tide. For all the changes on Tasmania’s east coast, there remains this sense of a place that still belongs to nature, that so much may never change. The hard days are gone, but the good days are well and truly still here. Qantas offers direct flights to Hobart from Sydney, Melbourne and Brisbane starting from $189 each way. Hire an Avis rental car from the Hobart airport, from $160 for four days. • Saffire Freycinet has luxury suites from $1800 per night including all meals and beverages. • Avalon Coastal Retreat has rooms from $900 per night including breakfast. • Thalia Haven has rooms from $650 per night including breakfast (two-night minimum stay). • Pyengana Dairy Company/Holy Cow Café is open daily from 9am to 5pm. • Freycinet Marine Farm is open from September to May, 9am to 5pm daily. • Swansea’s Ugly Duck Out restaurant is open daily from 8:30am to 7pm. • Milton Vineyard is open daily from 10am to 5pm. • Spring Vale Vineyards is open daily from 11am to 4pm. • Gala Estate is open from September to May, 10am to 4pm daily. The Maria Island guided walk runs 4-day guided walks from October to April. 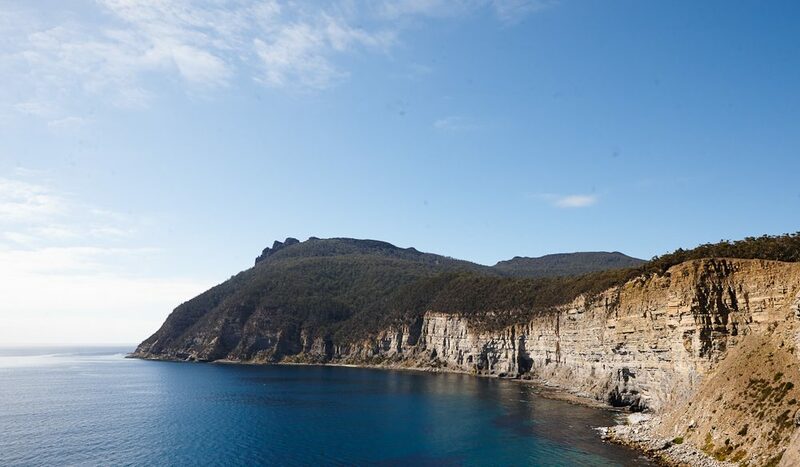 Groups of up to 10 guests and 2 guides travel to the island by private boat, and spend 2 nights in wilderness camps and 1 night in Bernacchi House in the World Heritage convict settlement of Darlington. The package, which includes “gourmet” meals, costs $2350 (starts/ends Hobart). mistakengly added to the daily rate? Other than that Tasmania is a stunningly brilliant place to visit!